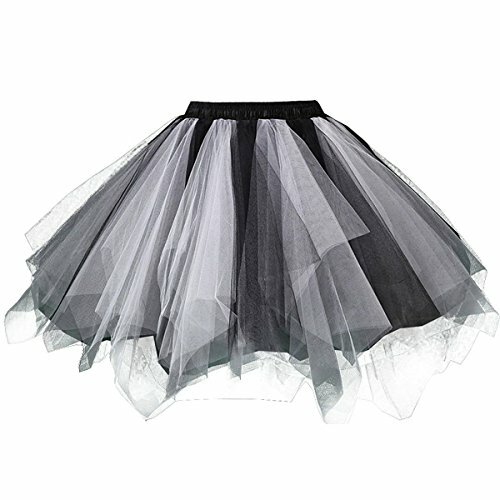 It's very fluffy and it has a lined slip,so you don't have to worry about shorts to wear underneath.There are two under-skirts and several layers of tulle to give the tutu the perfect classic shape.It's a longer tutu than the normal ones but one that is still fun and poofy! There is enough stretch in the elastic band.The elastic waist band made it easy to take on/off and stay in place- didn't fidget with it at all while wearing. There are two under-skirts and several layers of tulle to give the tutu the perfect classic shape.It's a longer tutu than the normal ones but one that is still fun and poofy!